When magnetic resonance imaging (MRI) scanners reach the end of their lifetime, hospitals have to deal with a large piece of electronic waste, stuffed with potentially dangerous parts. Unless a physics lab can make use of them. 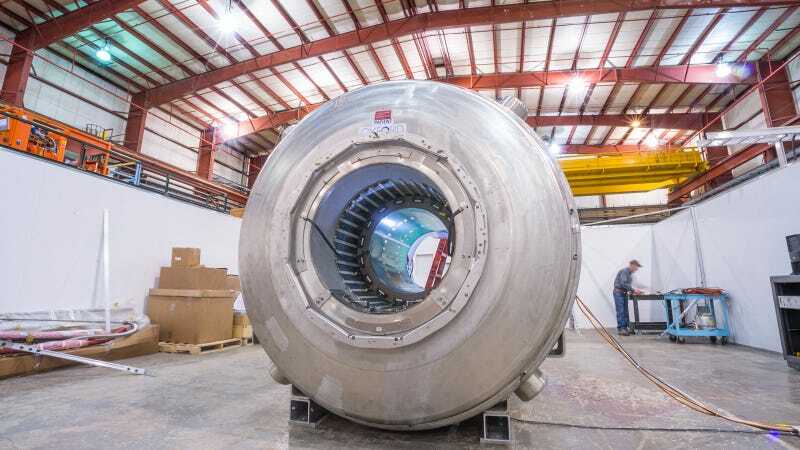 Researchers at the U.S. Department of Energy’s (DOE) Argonne National Laboratory recently acquired two decommissioned magnets from (MRI) scanners from hospitals in Minnesota and California. The two new magnets have a strength of 4 Tesla, not as strong as the newest generation of MRI magnets but ideal for benchmarking experiments that test instruments for the g minus 2 (“g-2”) muon experiment currently being assembled at the DOE’s Fermi National Accelerator Laboratory. The Muon g-2 experiment will use Fermilab’s powerful accelerators to explore the interactions of muons, which are short-lived particles, with a strong magnetic field in “empty” space.